Arecales (Arecaceae aka Palmae) in an order of the flowering plants containing the Palm Tree family. There are around 2500 species of palms and many of them are some of the most important plants on the planet because of their economic value. 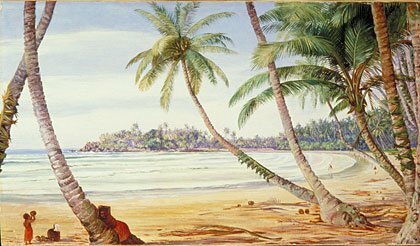 Perhaps the most well known palm is the Coconut Palm, doyenne of the picture post card and guardian of many deserted sailors seeking shade, this tree is farmed world wide for its fruit the coconut. It is believed to have originated in the west Pacific, spreading by sending its fruits, coconuts, via the ocean waves. It is now ubiquitous in the tropics and glass houses of the world. Coconut Palm facts: height 30m, latin name Cocos nucifera. 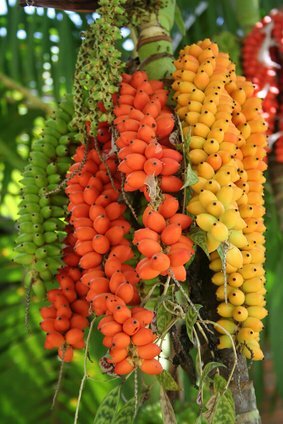 The Betel Nut Palm is cultivated for tis seeds, that release a psychoactive substance when chewed. Originating from south east Asia, this palm has spread the world ,especially in sub saharan Africa because of its drug use. Betel Nut Palm facts: height 25m, latin name Areca catechu. The Desert Fan Palm’s dead foliage hanging beneath its crown provides shelter for the birds and insects in the deserts of southern California, Arizona and Nevada. Desert Fan Palm facts: height 18m, latin name Washingtonia filifera. 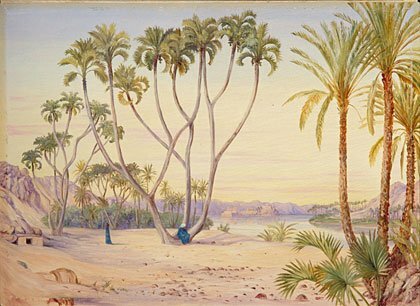 The Sugar Palm is one of the economic main stays of the Arecales order, cultivated in the Indian sub-continent and south east Asia. Sugar Palm facts: height 20m, latin name Arenga pinnate. The Petticoat Palm, a native of the island of Cuba in the Caribbea,n is so called because of the skirt of dead leaves around it crown. Petticoat Palm facts: height 7m, latin name Copernicia macroglossa. Feeling hungry? well the Date Palm is the tree of choice for you then. The fruits are often a staple source of complex carbs for the local community, not to mention the gift of choice to give for old age hospital dwellers. Date Palm facts height 30m, latin name Phoenix dactylifera. Cultivated for the oils contained in its fruit, the African Oil Palm is a native of the tropical lowlands. African Oil Palm facts: height 20m, latin name Elaeis guineensis. Perhaps more widely known for its ornamental uses rather than any of its by products, the Bottle Palm comes from a tiny island in the Indian ocean near Mauritius. Bottle Palm facts: height 6m, latin name Hyophorbe lagenicaulis. With large seeds that take six years to mature, the Coco de Mar Palm takes its time to propagate. Found in the Seychelles. 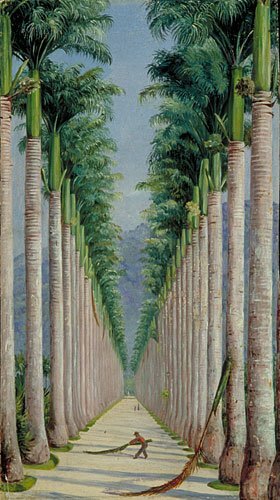 Coco de Mar Palm facts: height 30m, latin name Lodoicea maldivica. “Sago palm” usually refers to Cycas revoluta, a cycad (a gymnosperm, not a palm). Also, did you mean “flowing plant,” or flowering?